If you’re pursuing a master’s degree in health informatics, there are a number of grants that may be able to help you pay for your education. Without college grants, and other funds for students, such as scholarships, many students wouldn’t be able to achieve their educational goals. Grants are different from scholarships because they’re based on financial need. To qualify for a grant, you don’t need a 4.0 GPA. In most cases, grants are awarded to students who really need the money. Some grant-awarding committees look for candidates who are passionate about their studies, even if that doesn’t translate into straight A’s or the dean’s list. a financial aid award that you do not have to repay, provided you meet all eligibility requirements. provided by the federal government, state agenices, local charities, private companies, or the school itself. awarded based on need or merit, depending on the award criteria. a financial award to help pay for tuition, books, housing or other education-related expenses. provided by the state, individual colleges and universities, private companies, and local charities. awarded based on academic achievement and leadership potential. The government is the first place to look when seeking grants. Undergraduate students are eligible for the Federal Pell Grant Program. Once you’re ready to pursue graduate study, other government grants are available to help you pay for school. Filling out the paperwork can be time-consuming, but in the end, the money is guaranteed for those who financially qualify. A Federal Pell Grant, unlike a loan, does not have to be repaid. 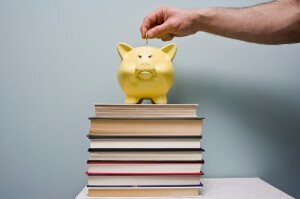 The maximum Pell grant for the 2011-12 award year (July 1, 2011, to June 30, 2012) is $5,550. The amount depends on your financial need, costs to attend school, status as a full-time or part-time student, and plans to attend school for a full academic year or less. To apply, complete the FAFSA. To find more government-sponsored grant programs, check out Partners in Information Access for the Public Health Workforce. Partners is a collaboration of U.S. government agencies, public health organizations, and health sciences libraries which provides access to selected public health resources on the Internet. The U.S. National Library of Medicine links to over 25 funding opportunities including fellowships and grants from Federal, foundation, and state funders. The HLM also provides an information section on health informatics that covers everything from statistics to key organizations. The Centers for Disease Control and Prevention offers The Public Health Informatics Fellowship Program (PHIFP). This program is a 2-year applied fellowship that trains professionals to apply information science and technology to the practice of public health. The U.S. Department of Health and Human Services regularly updates their list of loans and grants for students interested in a healthcare profession. The HHS also offers loan repayment and scholarship programs that you may qualify for. You can also look to private organizations to help support your master’s degree in health informatics. Medical-related organizations often offer grants to students who are interested in the medical and health services management field. By searching reliable online sites, you can find grants available to students working in fields related to medical records, administration, and informatics. Make a list of companies that work in health informatics. Once you’ve found the company’s website, inquire about their scholarship and grant programs. Prepare your application materials as soon as possible. You might need to write a statement of purpose or letter of intent as well as submit recommendations and other documents. As this field continues to grow, more qualified professionals will be needed to maintain advanced record-keeping systems. Colleges and universities have responded by increasing student grant programs. In fact, some schools have received generous awards from the government to support the development of health informatics programs. If you have a clear financial need for your education, talk to your school’s financial aid office, as well as the head of your department. You might be surprised at the amount of money available to students, especially for health informatics majors. You might have hit a roadblock in your search if you’re a graduate student looking for free aid. Grants for graduate students are harder to find than awards for undergraduates. However, don’t be discouraged if your search came up empty. Most likely, your search was not specific enough. Grants for graduate students often come in the form of dissertation grants, fellowships, career-advancement opportunities, and research positions. Dissertation Grants: Competitive awards designed to accelerate the degree completion process by offering significant financial support to students. Fellowships: An impressive credential awarded to an individual to aid in the pursuit of study or research. Career-advancement Opportunities: A program that provides the grant recipient an opportunity to pursue an advanced degree and gain certification in compliance with an employer’s employment policies. Research Positions: A prestigious award often funded by an external grant in which the recipient conducts research activities according to the assistance award. Hopefully you now have a list of potential funding sources. The next step is to enroll in the right school and begin an advanced career in health informatics. Our list of accredited schools will help you find a program that meets your educational and career goals.